In the movie, “Horrible Bosses”, three very frightening managers make life miserable for their employees – lying, abusing, harassing, berating, and manipulating them – so much so that three friends band together to take matters into their own hands and end their misery. Now while I certainly never had a boss with the over-the-top behavior Hollywood created, the premise of the movie did bring to mind my own Horrible Boss experience. Early in my career I was hired to join a new division. It was exciting to be a part of a revamped marketing effort working with a hand-picked group of young, smart professionals. The director who recruited all of us had amazing credentials and a compelling plan for the work ahead. I was happy to be a part of it – until I realized who I was working for. The enthusiastic, encouraging, positive person who interviewed me turned into her “evil twin” once I came on board. I came face-to-face with my first Horrible Boss. To say that she micromanaged us would be an understatement. My Horrible Boss demanded to see every memo and attend every meeting. She took credit for others’ work and often belittled us in public forums. It quickly became clear that she was impossible to work for and eventually we all as a team went to her boss to ask for an intervention. The experience taught me a lot about how not to manage, obviously, but I must admit that there were also a few things I did “right” and a few positive lessons I learned from my Horrible Boss experience. Ask the right questions, even before you get the job – Asking questions is an essential tool for increasing understanding, gathering information, and making decisions. During the interview with my Horrible Boss, I asked plenty of questions about the work and my job but I failed to ask about her management style, her views of the organization, how she handled different situations, what was important to her, and what her biggest concerns were. Those kinds of questions, used in behavioral interviewing, may have shed light on how she was to work for. Set mutual expectations – Expectation-setting is a must. Before I pulled my hair out and said something that would have likely gotten me fired, I found ways to make agreements with my Horrible Boss so that she would back off and let me do my job. These periodic expectation-setting sessions helped me to understand what she really wanted and expected and gave me the opportunity to share what I expected and needed from her as well. She eventually grew comfortable with letting me run meetings without her (my expectation) as long as I reviewed what took place with her and got her input on budget-related decisions beforehand (her expectation). Understand other perspectives – After I put aside my anger and frustration, I changed my approach with my Horrible Boss to try to understand why she behaved the way she did. I became aware of the pressure she felt she was under to perform and the competition for resources she perceived from her peers. Those largely self-imposed pressures and stress were trickling down (or crashing down like a rockslide) on to me and my colleagues. Once I understood her perspectives, motivations and personal challenges, I was better able to frame my responsibilities and approach to working with her. I could offer support and head off internal conflicts before problems snowballed into big blow-ups. There were other bosses I worked for who were their own brand of Horrible, but applying the lessons I learned from my first Horrible Boss helped me to manage up and manage through any difficulties. What positive lessons did you learn from your Horrible Bosses? 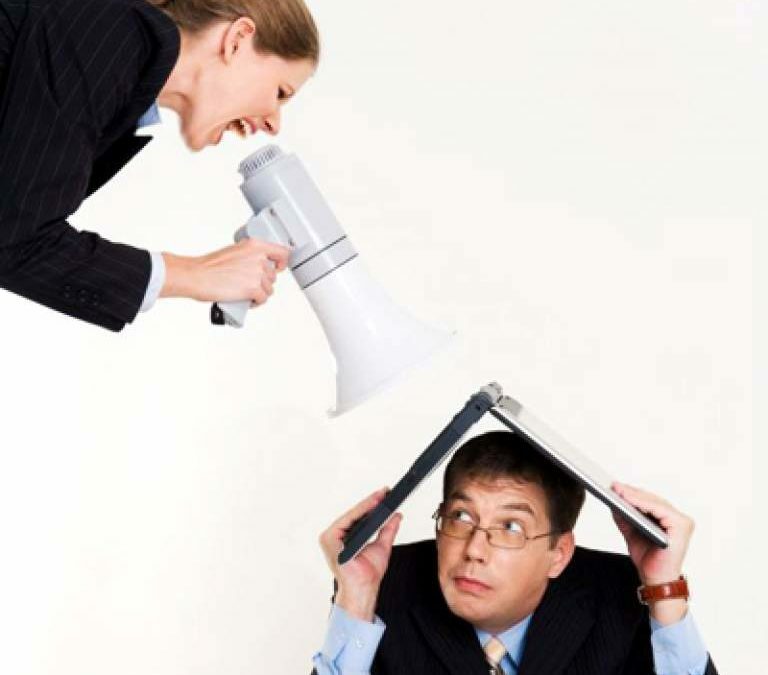 For help in dealing with your Big Fat Horrible Boss, contact Robyn at rmcleod@chatsworthconsulting.com. I learned the power of documenting. Whenever we had a meeting I documented the conversation and deliverable s, captured that in a memo and sent it back for confirmation. This person once attempted to give me a false year end appraisal, and I was able to produce the documents that made him revise his position. The point was to make sure that as much light as possible could be brought to each and every engagement. Thanks for your comment. Yes, documentation is often a necessity when you have a difficult boss. It provides the data and facts that can help to resolve problems between the two of you.